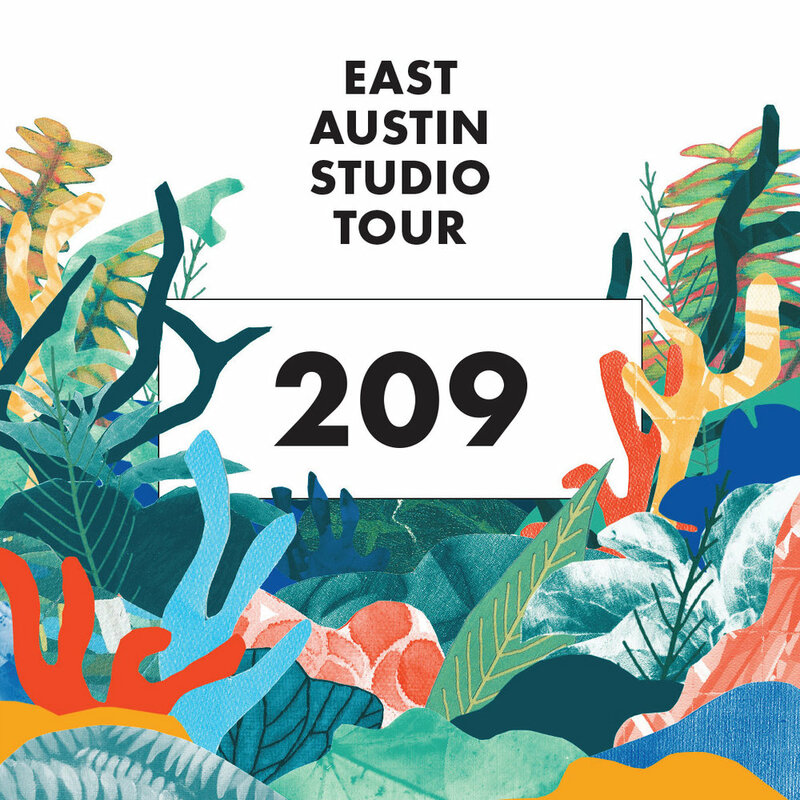 Join us for weekend two of the 2018 East Austin Studio Tour! Sarah Donovan is an artist living out of New Braunfels. Her work features an intriguing mix of humor, bright colors, and beautiful brush work. Sarah is most inspired by animals and textiles from around the world. The most current collection features animals dressed like they are headed to a fancy dinner party. Sarah also loves to paint botanicals in a very painterly and bold manner. Corey is a Designer and Illustrator based in Austin, the breakfast taco capital of the world. A Louisiana-native and Texas-transplant, her best days are spent creating magnetic and relatable designs. She puts the "fun" in “funk” and can’t help but believe that everything is more spirited when handspun! Her work is up-for-anything, hand-drawn and always from the heart. Since landing in Austin in 2011, she’s worked with global brands, hometown heroes, local non-profits, and solopreneurs chasing their lifelong dreams. When she’s not “doing research” at the nearest pool, she’s lounging in her studio dreaming about her next project — over her 4th cup of coffee.